Disclosure: I received compensation for this post, but all opinions are 100% my own and may differ from yours. I will only endorse companies, products, and services like the Merck Manual Consumer app, that I believe, based on my own experiences, are worthy of endorsement. …Here I was two days before Christmas puking my guts out. Then no sooner than I was done vomiting, diarrhea hit me. Yay me! I also had a low-grade temp, at just 100.2 degrees. 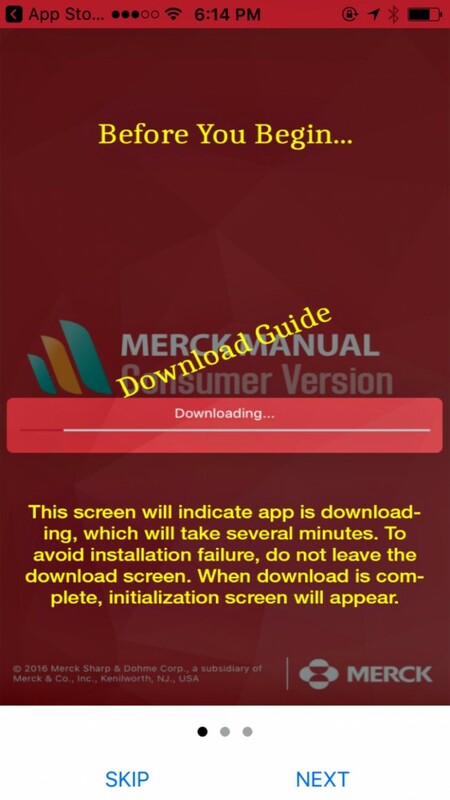 So I grabbed my phone and the Merck Manual Consumer app I’d downloaded a few weeks ago. 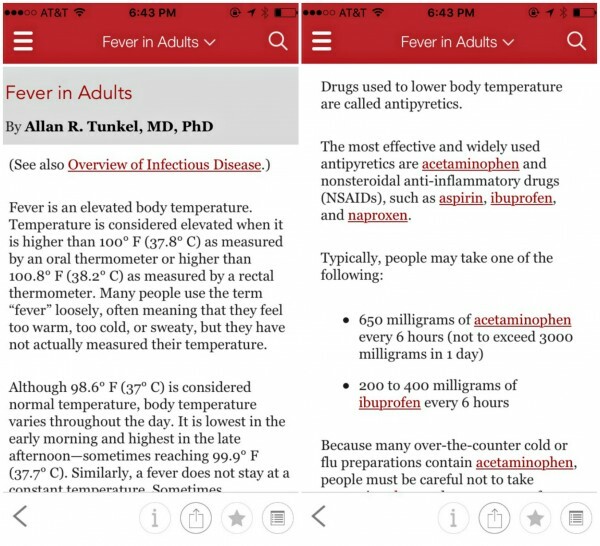 I knew that unless a temperature was above 100 (it’s 100.8 to be exact) it really isn’t considered a fever. So at 100.2 degrees, I guess it was low-grade temp. I went ahead and took a dose of acetaminophen, just in case. 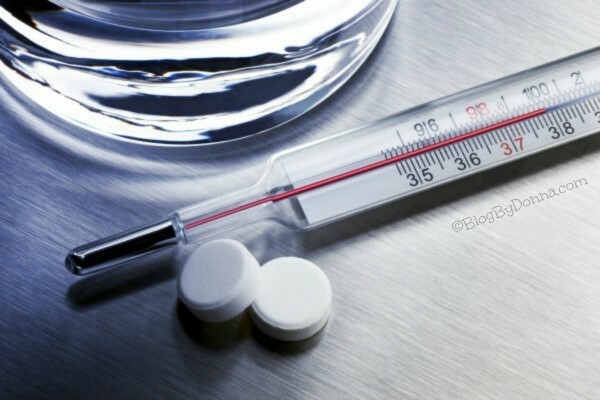 I sure didn’t want my temperature to rise. While I was laying in bed, since that’s all I felt like doing, I continued to search the Merck Manual Consumer app to see if I could figure out what could be causing my sudden sickness. By the way, I’m always Googling symptoms. I’m not a hypochondriac, but between my son, my husband, my parents, and myself, it seems someone is always experiencing some symptom or another, an illness, or an injury or emergency. Besides, I like being armed with as much information and questions possible when I see a doctor. My doctor suggested I quit looking for medical advice from Google, though. Although you may find sound advice and medical information on Google, there is just as much bad or false information, since anyone can give medical advice on the internet. It’s super easy to download and use. 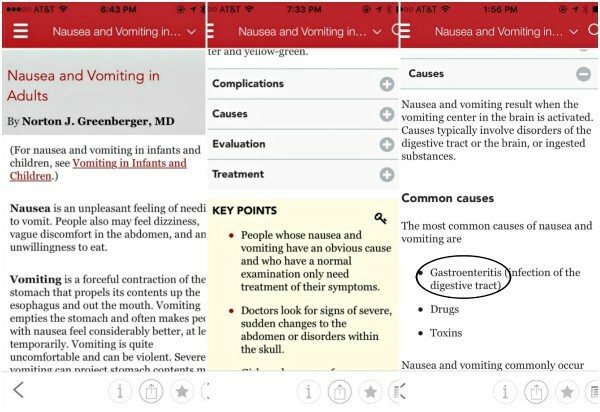 With the Merck app, your Apple or Android device will contain not only every one of the thousands of topics posted on The Manual’s website but all of their 800+ photos and illustrations. It also contains almost 200 animations and videos you can choose to download. Tons of medical information all written by medical experts. All the information you find is credible and easy to understand. All health information has been written, vetted, and updated by more than 350 medical professionals. Even if you have no internet or cell service, you have a wealth of information at your fingertips 24/7. This is a biggie. Because illnesses and injuries usually happen at inopportune times (like there’s ever a good time), like when there’s no internet access. Back to my mysterious Christmas break illness… I deduced that I had the stomach flu (gastroenteritis). Luckily it was a 24-hour bug and thankfully by Christmas Eve night, I was feeling much better. Unfortunately for my husband, though, he woke up Christmas morning with the same symptoms. I was feeling better but my husband spent the whole day sick in bed. It was nice having the Merck Manual Consumer app handy to set my mind at peace knowing it was something minor. We took every precaution to keep our son from contracting Gastroenteritis, too, and it paid off. He made it through his Christmas break from school illness-free. 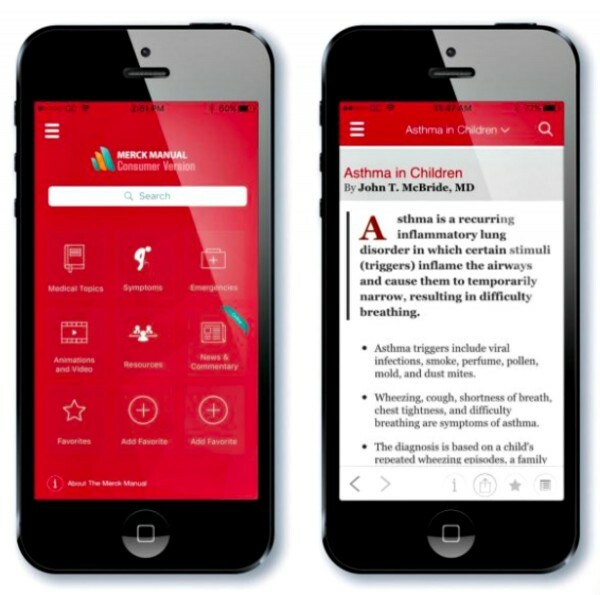 I feel some peace knowing I have a plethora of medical information at my fingertips anytime I need it, especially as a parent. The Merck Manual is an amazing reference guide that I’ll always have with me. And the best part? It’s FREE with NO advertisements. For Consumers in the U.S. and its territories: Twitter and Facebook. For Professionals in the U.S. and its territories: Twitter and Facebook. You too? I started vomiting and diarrhea on December 22. Because of preexisting conditions, I ended up spending Christmas in the hospital. Why is it that we always get sick around Christmas? I will definitely check this app out, looks very helpful. Thank you for sharing. This looks like a great app! I will have to check it out!